Ronald Eugene Moore, 57, passed away on April 3, 2019, in San Antonio. A 31-year Air Force veteran, Ron is survived by his loving wife, Marla Dial Moore; daughters Rachael, Jessica and Elizabeth Moore and Samantha Garza; his best friend and brother, Randy Moore and wife Betsy; granddaughters Parker and Ella Young; as well as numerous extended family and countless friends. Services are scheduled May 31, 2019 at Hillcrest Funeral Home and Fort Sam Houston National Cemetery. In lieu of flowers, donations are welcomed by the ARC of San Antonio and the Ron Moore Memorial Scholarship Fund, Alamo AFCEA Education Foundation. Ron joined the Alamo chapter board of directors in 2011 as treasurer. He worked tirelessly to create business practices and governance procedures that have resulted in extraordinary improvements to the chapter’s growth, strength and stability. In his role, he shaped every aspect of chapter management and board operations. Ron led all facets of chapter financial affairs, from budget development to execution to reporting and auditing (both internal and external). Although he left a positive mark on all the companies and organizations he served over the years, Ron considered the growth and financial health of the Alamo AFCEA STEM programs and Wounded Warrior/Military Family Endowment program as one of the chief accomplishments of his career. Ron helped to form and lead the board's Financial Steering Committee, which oversees chapter financial strategies, plans, transactions and reports. As governance director of the committee, he reviewed proposed activities for compliance with by-laws and accounting best-practices and standards. Informally, he served as the “conscience of the chapter” -- holding other board members accountable to the highest ethical standards. 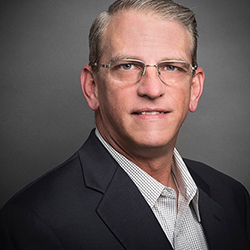 He was a respected advisor to new chapter board members, helping to guide program execution and growth in both new and established chapter programs. Upon joining the board, Ron formalized the budgeting process and established periodic reviews to improve budget execution. Additionally, he formalized the chapter scholarships and grants program, which has now disbursed nearly $1 million in local scholarships. He was instrumental in helping to establish the chapter’s Wounded Warrior Military Family Endowment Fund, which has provided more than $250,000 to local veterans’ programs. Notably, he also championed the development of a management reserve that ensures the chapter will be able to continue its work in the event of any unforeseen future setbacks, and he led the committee in developing the largest budget in the chapter’s history. Ron personified love, friendship and service. He was a devoted son, brother, husband and father; a faithful friend and ally; U.S. military veteran and leader; and a successful businessman. His deep baritone voice, infectious laughter, dauntless optimism and devotion to San Antonio Spurs basketball touched all who traveled in his wake. He will be remembered with love and admiration by countless people who were honored to participate in his life’s journey. The Alamo AFCEA Chapter Board of Directors is proud to have served alongside Ron Moore over the past eight years and considers his family to be our family. We are honored to receive donations to the Alamo AFCEA Education Foundation in memory of Ron and his dedication to the chapter. The Office of Financial Assistance connects students and families with the financial resources required to finance a St. Mary’s education. Our staff works personally with students and their families to explain available options and help them to choose the best methods to meet the cost of attendance. This program is intended to promote effective science, technology, engineering, and math teachers in the San Antonio and surrounding area. Special emphasis will be given to Title I schools and teachers.